I know it’s shallow and totally frowned upon to make decisions this way, but I *almost* took a pass on this book because I didn’t like the cover. The synopsis, however, was just vague enough and intriguing enough to pull me in. This book had some I Know What You Did Last Summer vibes, but it is much more sophisticated and way less cheesy. I am not going to spend much time talking about the characters because they were basically just accessories to the plot. The character who is already dead when we start the story has the most depth and was the most likeable. And, for almost the entire novel, I was unsure if the narrator was reliable. The storyworld seemed to be constantly immersed in fog and/or rain which gave the book a nice and creepy vibe. This novel kept me guessing the whole way through, and I felt like I was reading/watching one of those shockingly good IFC indie films. A group of estranged friends reunite, party hard, and end up stuck together until a dark mystery between them and the death of one of their closest friends is solved. As secrets about each character in the story are brought to light, the unsettling realization that none of the friends every really knew each other forces the reader to examine their own friendships and romantic relationships. 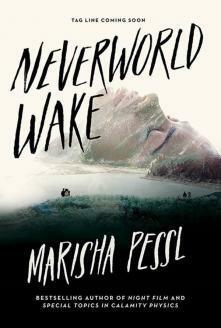 Have you read Neverworld Wake? I’d love to hear your thoughts! I am including this music video of the song I Know What You Did Last Summer because it has absolutely nothing to do with the book, but it totally evokes the same kind of atmosphere I imagined in parts of Neverworld Wake. Oh, and it’s a catchy song.